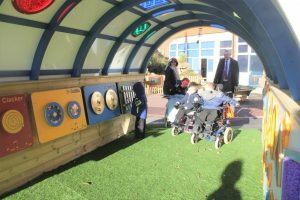 On Monday 28th of November, members of the Provincial Charity Committee (PCC) attended the opening of a Sensory Playground at Valence School. 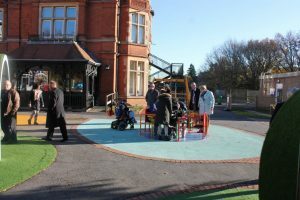 The PCC contributed to the cost of the Playground on your behalf with funds from the Provincial Benevolent Fund. 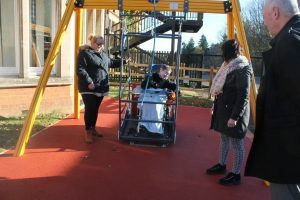 Valence School at Westerham is for children and young adults with a variety of special needs and the children were highly delighted to use the equipment. Brethren, we can only make these differences within our Province if you bring them to the attention of the PCC.